Acupuncture and Chiropractic are alternative ways to help with pain management. Out of pocket costs for chiropractic and acupuncture can add up, so many of our clients are left wondering does Original Medicare cover acupuncture and chiropractic? Medicare does not cover acupuncture. Under Original Medicare, you will pay 100% of the costs for acupuncture treatment. However, there are some Medicare Advantage Plans that do offer acupuncture benefits. If you are not sure if your plan covers acupuncture, contact your agent or health plan for more information. Chiropractic care is covered by Medicare for conditions like headaches, back pain, neck pain, numbness and tingling, sciatica. 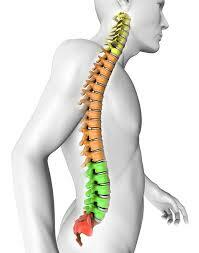 Medicare even covers chiropractic treatment of disc problems such as herniated discs and degenerative disc disease. The way Medicare covers the treatment of these conditions is by determining if they are caused by a misalignment of the bones in the spine. To find out if Medicare will cover your condition you will need to be seen by a chiropractor for an evaluation. If the chiropractor feels that the misalignment is causing the aches and pains he or she can then certify to Medicare in the documentation that the care is necessary. Medicare does pay for medically necessary Chiropractic Adjustments. They don’t cover other services provided by a chiropractor though. The Medicare deductible for 2018 is $183 (this is the amount you will be responsible before Medicare will pay – sometimes this is covered by your Supplemental Insurance). After your deductible is met, Medicare pays 80% for your Chiropractic Adjustment and you are responsible for 20% (this may also be covered if you have a Supplemental Insurance plan). Medicare does not cover initial physical exams, diagnostic services, x-rays, physical therapy, nutritional supplements, orthopedic devices or chiropractic treatment for anything other than spinal subluxation. While Medicare will not pay for an x-ray ordered by a chiropractor, they will pay for one that is ordered by a doctor to determine if a subluxation is present. The doctor will also need to interpret it for it to be covered. The chiropractor is allowed to use an older x-ray, if needed, one that is up to a year old. Otherwise, they must use a physical exam to determine the presence of a subluxation. Today many chiropractic clinics offer an array of wellness services. There might be massage therapy available or treatment with electrical stimulation or hot/cold compresses. Some clinics also promote homeopathic care and dietary supplements. None of these things are covered by Part B, so speak with your chiropractor ahead of time to find out exactly what you can estimate to spend out of pocket. Some people with Medicare choose to get their benefits through a Medicare Advantage Plan. Advantage plans are private health plans that offer the same Part A and B services as Original Medicare. However, these plans generally have networks, and you should seek care from providers that are in the network in order to have the lowest out of pocket spending. Most plans offer online provider directories, so you can check your plan’s directory to find out which chiropractors participate in their plan. Medicare Advantage plans also offer their care differently than Original Medicare. Instead of paying a deductible and then 20%, you will usually pay a copay for chiropractic services under your Medicare Advantage plan. For more information regarding Chiropractic benefits, please contact us directly at (844) 817-0878.